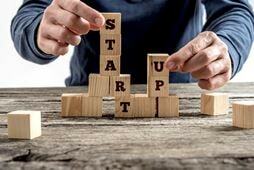 How Can My Startup Get a Business Line of Credit? It’s no secret that starting a business has a big laundry list of items that need to be tackled. From tasks such as developing your business idea, choosing and registering a business name, deciding on a legal structure, preparing your paperwork, and the list goes on and on. In today’s post we will discuss a crucial item on the list; funding. I’m sure you’ll agree access to funding is so important for starting, operating and growing your business. Although you may be using your own personal funds to launch the business what happens when unforeseen expenses occur? One of the major reasons why startups fail is because they run out of cash. What frequently goes wrong, and leads to a startup running out of money, is that the owner failed to gain access to funding before their cash dried up. It’s important to plan for growth right from the onset as opposed to waiting until you really need the cash. In my opinion it’s best to maximize the amount of credit you can obtain because every time you search for funding you have a unique window of opportunity. It’s about minimum input for maximum results. Recently I did a post about strategic application placement which covers this particular strategy. Of course in some cases, more isn’t necessarily better especially if you’re applying for a business loan. With a business loan there’s a fixed monthly payment to consider. However, a startup can get a business line of credit which is much more beneficial because you only pay for what you use. The difference between business loans vs business lines of credit is night and day with each having its own advantages and disadvantages. 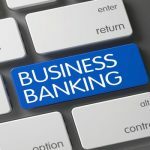 First, let me clear the air about many of the online lenders that offer business lines of credit for startups. If you’re at the early stages of starting your business and have no revenues then pretty much all of them disqualify you. Online lenders require anywhere from $25k to as high as $60k in annual revenues to even be considered. Secondly, online lenders have repayment terms that is much shorter ranging from 6 months to as high as 25 months. Finally, the APR rates are much higher compared to our unsecured business credit lines with some APR’s ranging from 14% to as high as 108%! So if I have no revenues and I started my company today can I still get a business line of credit? YES! The good news is there are banks that want to extend a business line of credit to startup companies regardless of age or revenues. But in order to acquire these types of unsecured business credit lines requires strong personal credit reports and scores (690+). Since your business is in its infancy with no track record, revenues or collateral the bank must use a personal guarantor as the company’s cosigner to mitigate its risk. As a personal guarantor, the bank reviews your personal credit report to assess how creditworthy you are as an individual in order to determine how much credit the bank is willing to extend to your startup company. Now remember, this is unsecured business credit lines so it’s not attached to any personal property of any kind. Also, this credit does not require any income documentation, bank statements, financials, or upfront fees. 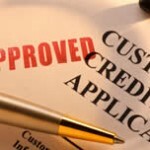 How much business credit lines can I expect to qualify for? As a general rule of thumb, whatever your highest credit limit is on a personal credit card where you are the primary account holder; expect to pre-qualify for 4-5 times that amount in business credit lines with our UBF program. Other factors that play a role in pre-qualifying are credit card utilization (preferably under 40%), types of credit, FICO ® Scores, length of payment history and hard inquiries. As a startup, it’s crucial to have open-ended access to credit for ongoing needs such as everyday business expenses, seasonal working capital or inventory management. The fact is a business line of credit can be an invaluable tool but requires that you plan your application in advance to get the highest credit limits possible with the best rates and terms. 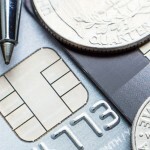 Ready to see how much business lines of credit your startup can get? CLICK HERE for a free, no cost, no obligation review for our unsecured business credit lines. Marco Carbajo is a business credit expert, author, speaker, and founder of the Business Credit Insiders Circle. He is a business credit blogger for Dun and Bradstreet Credibility Corp, the SBA.gov Community, Business.com, About.com and All Business.com. His articles and blog; Business Credit Blogger.com, have been featured in Fox Small Business , American Express Small Business , Business Week , The Washington Post , The New York Times , The San Francisco Tribune ,‘Alltop’, and ‘Entrepreneur Connect’.